Updated Wednesday August 3, 2016 by Michelle Benczkowski. 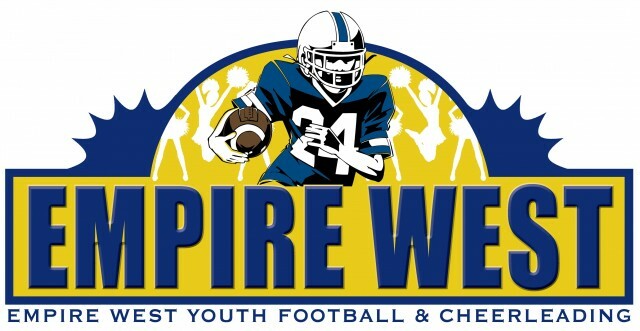 The general objectives of Empire West Youth Football & Cheerleading Inc.are to inspire our youth, to practice the ideals of sportsmanship, scholarship, and physical fitness, regardless of race, religion, gender or national origin. Our specific objectives of the league are to familiarize all youth with the fundamentals of football and cheerleading; providing an opportunity to play the game in a supervised, organized, and safety oriented manner while keeping the welfare of participants free of any adult ambition and personal glory.